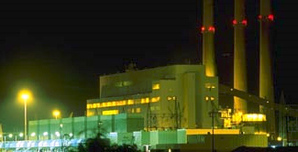 Allen Fossil Plant, near Memphis, Tenn., is one of 11 Tennessee Valley Authority coal-fired power plants affected by the settlement deal announced yesterday. Some coal-fired boilers at three TVA plants will be shut down; others, like those at Allen, will get tighter emissions controls. Photo courtesy of TVA.